Sometimes to find truth you got to embrace the chaos. 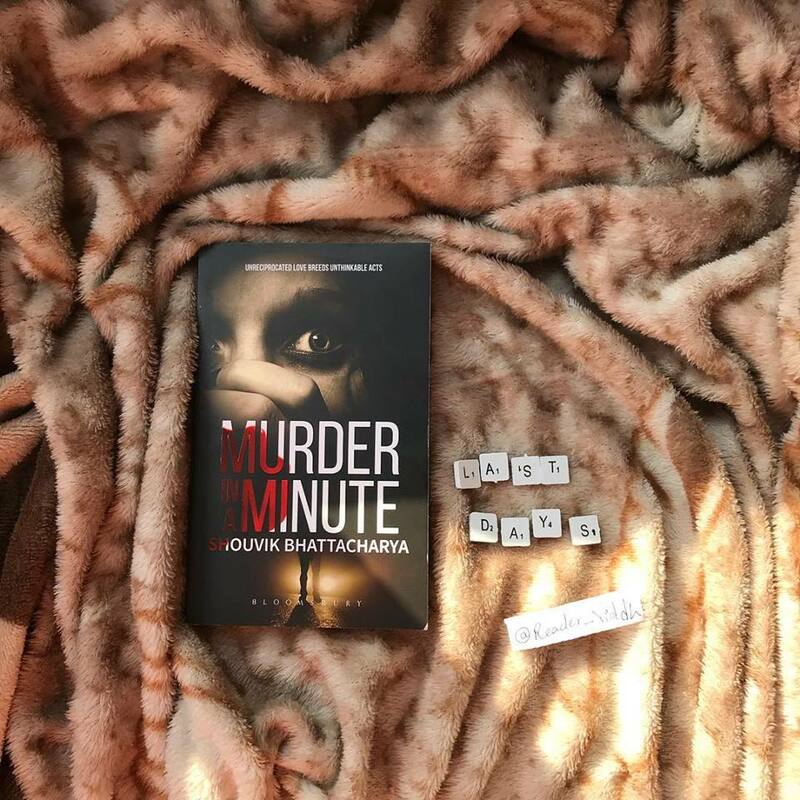 Murder in a minute is the most engaging story I have ever read. I stretched my timings to finish it. It was indeed a nail-biting read figuring who would be a Murderer. The story is about Esha Arora, the CEO of Arora cement, There is no involvement of outsider in the case and the suspects were the one present for board meeting inside the home. Esha was like a mother to her brothers Rishabh and Arya, and enemy to Rashmi and Pranav. Anubhav- love of her life, was also under suspicion, along with Jyoti, Meera, and Naina. Not to forget Mr. Dhruv, Competitor of Arora Cements. Well, an equation of Pranav and Rashmi with Esha was not good, because Esha was adopted child. While Rishabh and Arya lost their mother and Esha held their hand. For ancestral business ownership? or love? why this Murder Happen was a Mystery worth solving. ‘Unreciprocated love breeds unthinkable acts’ this line made me think about various people who might have murdered. we get engaged instantly in the solving the mystery. The plot is too engaging with lots of suspense, clues, and thriller. We come across very such amazing crime fiction in India and this book is one of the best. How Arya was underestimated every time as he took literature and not engineering. The language is too simple and connecting. we feel like a detective solving a mystery. The characters that the author made were amazing, how each one had their own importance in the story, each one added sparkle to it. Every suspect has a story to tell and everyone adds more to the unfinished puzzle. The book needs to be read with utmost attention. I loved the climax. I loved when it was time for confessions to be made. It’s a gripping plot with some amazing lines and phrases. It’s like a master mystery, just like a movie blockbuster. made this story worth a read. It’s an engaging read. I loved the title and cover of the book, It’s too engaging and impressive. If you like reading Crime fiction, this one is worth a read.